The precarious decisions of a time traveler serve as the basis for this chilling debut sci-fi thriller. Mary, a dancer and historian, is the kind of person that men admire and other women envy: She’s smart, funny, and has a keen sense of self and of the world around her. She understands that her petty problems—the lost love of a fiance, difficult parental relationships, strange co-workers—really have no impact on the greater world. That, in part, is why she’s the perfect choice to travel to the station Janus, a kind of super–time machine that places its crew in a kind of limbo between the real world and historical events. Mary is one of a select group that’s trying to figure out who’s been tearing apart history in small but injurious ways. This mysterious time traveler leaves clues behind, but the crew still finds it difficult to know when or where he will go next. 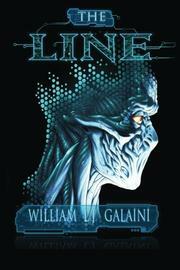 Galaini provides a tight sci-fi narrative, blending his intriguing theories of how humanity might bend time into a compelling plot. His characters are well-spoken, realistically flawed and fascinating, and the author uses their voluntary captivity to show how people can crack in stressful, tight environments. The very idea of changing the past should be revolting to the educated Mary—whether it be a friend’s injury or the outcome of a major historical event, such as World War II. Yet her isolation and mental distress eventually cause her to think that even murder seems sensible: “What use is dedicating your life to study history…if you aren’t going to change it? What good would I be as a spectator?” she asks her android friend, Magus. The story, with its heavy emphasis on science and technology, can sometimes feel bogged down by complex concepts, at the cost of accessibility. The pacing suffers a bit as a result, as some readers may need to pause simply to figure out exactly what the characters are saying, but that also is what makes this novel so intriguing, as most readers will care enough about Mary’s journey to make their way through the jargon. The tale of her struggle to find the humanity in history and the emotion in science is worth the effort. Although heavy with high-tech terms, this time-travel novel’s engaging plot and all-too-human characters make it a pleasure to read.